The numbers don’t lie, either. Our clients have reported a doubling of their conversion rate after deploying our videos. In plain English, that means that twice as many people are making a choice — to download an app, to purchase a product, or to learn more about something — after viewing one of our videos. And don’t just take my word for it. Over at Transvideo Studios, their clients report a 15-75 percent bump. The world is a complicated place. Technology is transforming people’s lives, but it’s also leading to a lot of confusion and anxiety. People are constantly bombarded with pitches for websites, services, gizmos, and health products. Explainer videos help companies and organizations rise above all that noise by helping everyday people feel empowered to make informed decisions. In fact, the explainer video is so well established that many people now expect to see one on a website. Where advertising is designed to sell and persuade, explainer videos put that power in the hands of the consumer. They invite people to understand and then decide for themselves. Simple explanation builds trust, which isn’t always the outcome with advertising or a slick marketing pitch. Be sure to read Lee’s full blog post on the importance and value of video explanations. The beauty of video is that it can work across multiple channels. A fabulous explainer video can and should reside on your homepage, but it can also be used in social media and email campaigns. Many of our videos have been used at trade shows and conventions, and as part of investor pitches. Also, it can often be hard to get journalists and bloggers to write about your product. Explainer videos make their lives easier because they can simply embed your video in their article. An explainer video is far more likely to end up in news coverage about you than an ad. This is the part that we’re most passionate about here at Planet Nutshell. We feel strongly that explainer videos should express your brand in a way that makes it more relatable, more heartfelt, and more fun. Explainer videos can show a bit of whimsy and reach out to people, letting them know that you care enough to help them understand. During the summertime, the residents of Planet Nutshell take some time off to recharge their spirits. But there’s lots more explaining to do, so we’re back at it. While we were away, Google launched a new version of Google Wallet with our Nutshell displayed front and center in the app. 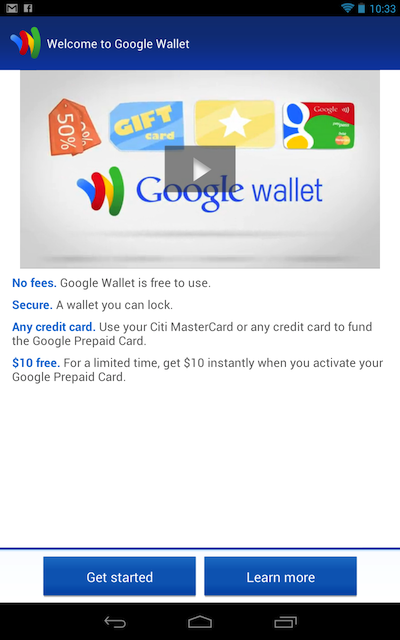 As part of the launch, we produced a shorter, 40-second version of our original Google Wallet Nutshell. Google tested this video with hundreds of viewers to help them, and us, develop the best way to explain the basic functions of Google Wallet. Needless to say, we were pleased as punch to be a part of their rigorous and very customer-focused testing process.